The Majestic Uluwatu Temple | What an Amazing World! 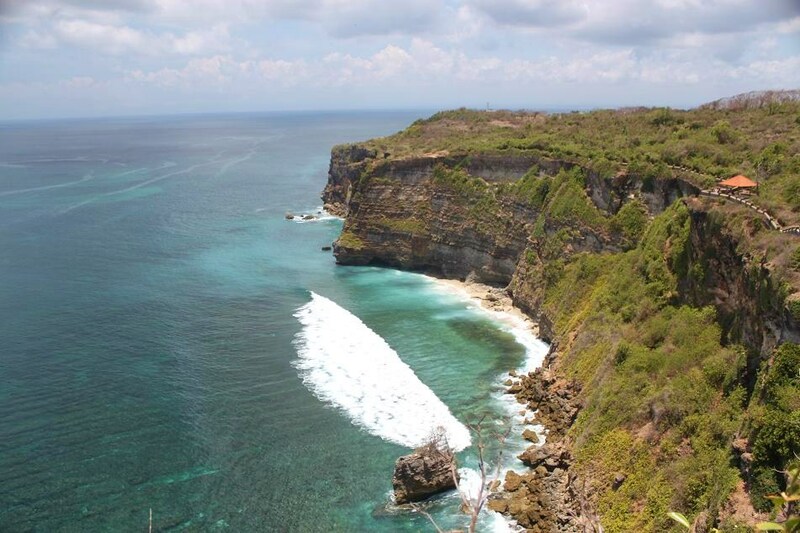 Uluwatu is a region is southern part of the island of Bali which is situated on a dry and arid terrain covered with almost leafless tress. This is made possible due to the dry climate of this southern region of the island which is pretty much different from what I experienced in Ubud which is covered by lush forest. That might raise a question of why I would go to such barren place. 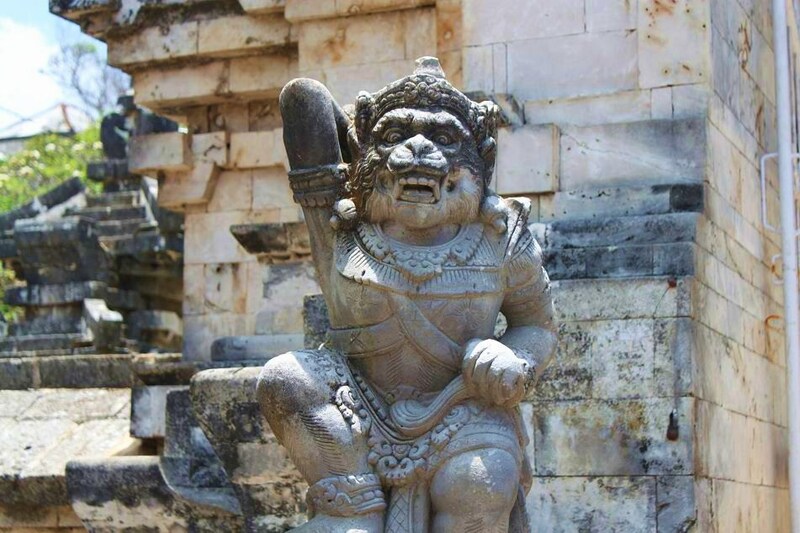 It is because Uluwatu is the place where the nine-century-old High Temple of Uluwatu (or I’d rather call it The Majestic Temple of Uluwatu) is located. In Balinese Hinduism tradition, there are several temples which act as the major temples whose existence brings the universe into balance. Uluwatu temple is one of them. 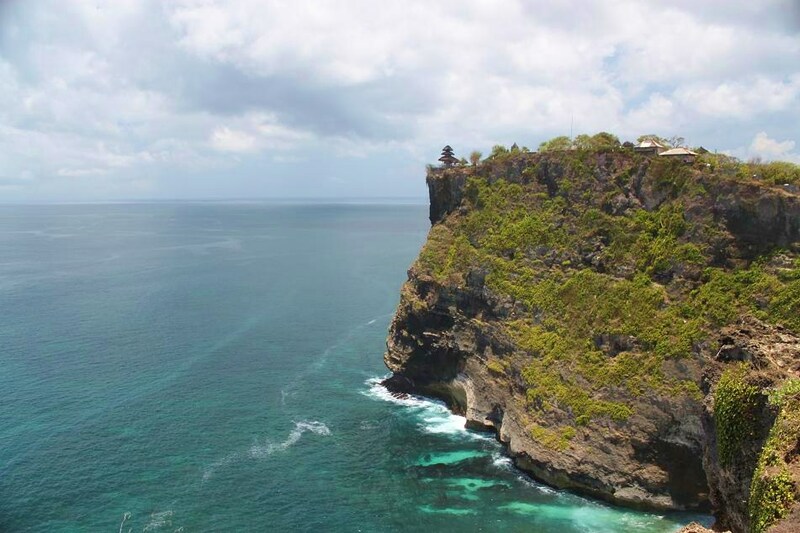 Perched on the the edge of a limestone cliff facing nothing but the vast Indian Ocean, Uluwatu temple is aptly situated as one of the most reverred temples of all. The temple itself is actually rather small in size, however it is notoriously famous for the high population of monkeys around the temple. Those long-tailed primates are not the nicest monkeys of all, I must warn you, for their bad habit of stealing things from visitors. You’d better keep your shades, hats, even sandals safe so that those monkeys have nothing else to steal. You cannot really avoid them though, just make sure you don’t make a direct contact with them and keep a safe distance. Apart from the monkeys, the view from the edge of the cliff is unforgettable! Standing there and listening to the sound of waves crushing to the rocks below made me strangely relaxed. The first two photos are breathtaking and the rest are “cute”. Sometimes monkeys can be cute, but some other times they are just the last thing you want to get close to. What an amazing place! 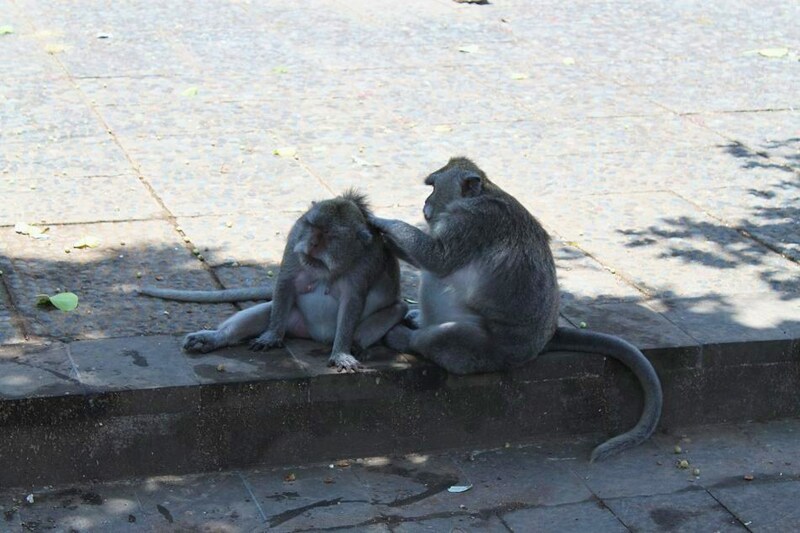 The two grooming monkeys look like they’ve stolen a bit too much food, perhaps?? Oh I am pretty sure they have stolen way too much food. It is just a matter of time for the little ones to grow and look like their older relatives. Lovely pictures and write up. I would be heading to Bali next May and i simply cant wait! May in Bali sounds great! It’s not in rainy season, so I guess you’ll have a great experience to come! 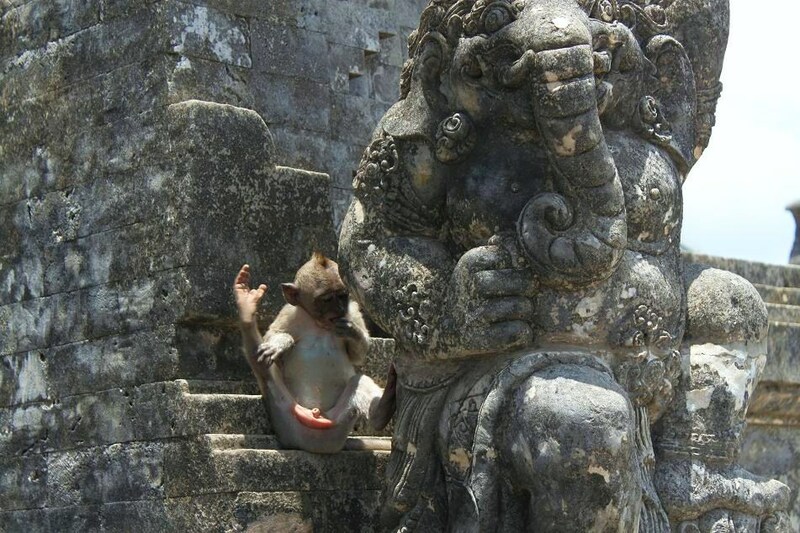 Yeah.. My family and i was going there, but the monkeys steal my mother sandals and take mineral water that i bring. Actually, i wanna see that beautiful beach and view but i’m afraid that monkeys will steal more.. So we decided to go back.. I think that monkeys are hungry. Just stay away from the monkey and don’t bring anything that makes them curious and snap it away from you. 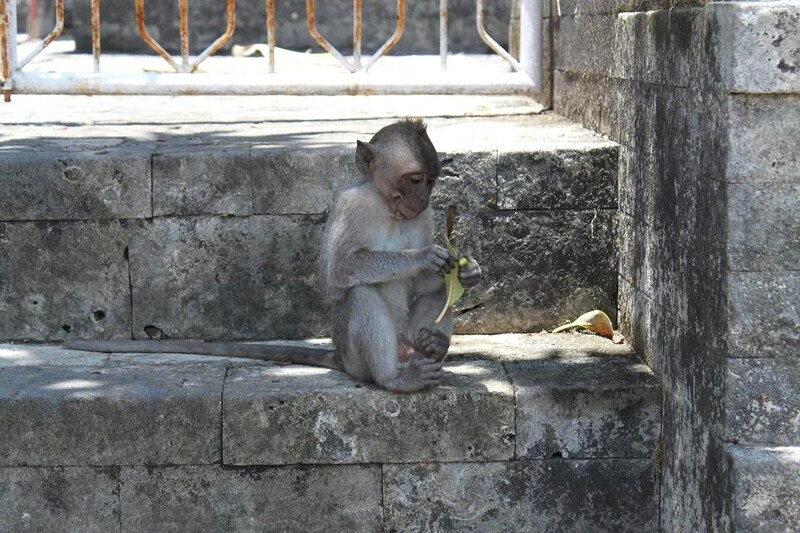 By the way, the monkeys in Ubud’s Sacred Forest are a lot nicer.